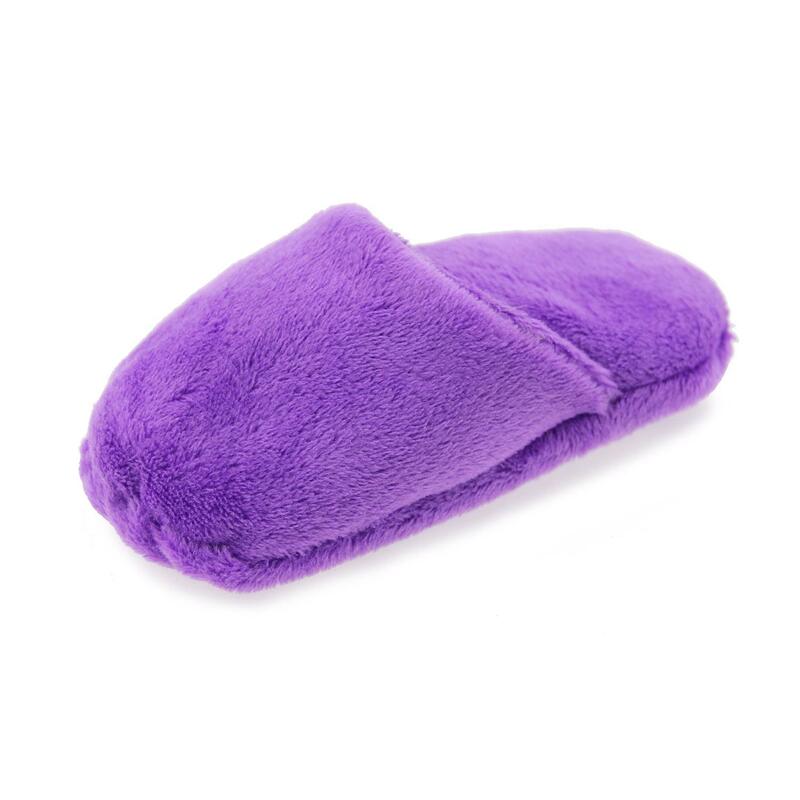 Your little pup will leave your slippers alone when you give them their very own Slipper Dog Toy in Purple! Keep your toes warm while your dog plays with their own Slipper Dog Toy in Purple! This tiny version of a slipper is an adorable way to teach your dog to bring slippers to you. Your dog won't get confused as to whether this is authorized footwear for them to mouth because it is only four inches long. Plus, it has a small squeaker inside to keep them interested. This slipper dog toy in purple is soft and cuddly and is perfect for napping with, fetching, and mouthing. Increase the fun by hiding tiny treats inside! Perfect for small breeds and puppies, even your cat might enjoy batting around this plush toy. Entice kitty to place by tucking in cat treats or even a pinch of catnip! Your pets will love this toy by Doggles so much that you'll want one in every color! Check out the rainbow of slippers available and sold separately. Cute little house slipper! Smaller than expected but nevertheless a great chew toy!